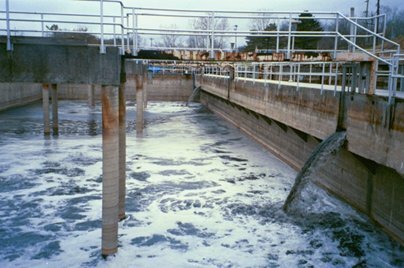 During significant rainfall events, the wastewater flow rate to the facility substantially increases. In order to maximize treatment during wet weather events, the facility has converted abandoned tankage into an Overflow Retention Facility (ORF). The OFR temporarily holds the diluted wastewater until the wet weather event ceases. The liquid is pumped back into the system for full treatment. The OFR system protects the facility during major rainfall events and insures adequate treatment occurs during inclement weather.